It is no secret that I am a BROOKS FREAK!! I love Brooks shoes, apparel, VIP Potties, you name it I l0ve love my BROOKS. I own in no particular order the.. These are my Marathon training and long run shoes, I have gone through 4 pairs of these and do not plan on changing anytime soon at just $99.95 on Onlineshoes.com this is a STEAL!! These are the latest addition to my Running shoe collection. I wanted to try a lower priced option at $84.95 on Onlineshoes.com the shoes are budget friendly. These are still in the testing phase, Tall Sister and I will race wearing matching Switch 4's at the See Jane Half Marathon. I call these my McDonalds shoes, they are FUNKY!! This style is on SALE at Onlineshoes.com for $64.95 and they have an assortment of awe inspiring colors for $99.95. These are a true racing shoe, light weight, breathable and just cool enough to scare off the competition. Why am I bragging about ALL of my amazing Brooks shoes??? Why am I talking so much about Brooks sold on Onlineshoes.com?? Well, if you are still reading you are in for a TREAT!! Because the amazing folks at Onlineshoes.com are hosting a GIVEAWAY!!! $100 toward a Brooks pair of shoes of your choice sold on Onlineshoes.com. ****Check out the Brooks page HERE to see which pair you want to buy with your $100..
How will you use a new pair of Brooks Running shoes? 2.) Follow the Onlineshoes Blog HERE. Enter up to 4 times, one comment per entry!! July 18th happens to be my surgery date so i'd use them to recover and get back into running shape! I love Brooks shoes too! I would use them for my short runs with friends. I only wear Brooks for running, so a new pair would be a welcome addition to my wardrobe. I would love to try the new Switch 4! I follow Onlineshoes on Facebook! I would use a new pair of brooks to...run in! I follow online shoes on facebook! I would use a new pair of shoes to train for my second half marathon! I wore Brooks for my first race and I love them!! I have been wearing Brooks Adrenaline shoes since GTS 7! I love, love, love my Brooks. 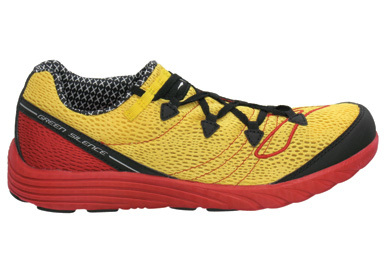 I really want to try out a pair of racing shoes. Question: do you wear racing flats for marathons or stay in your Adrenalines? I would use a pair of Brooks shoes to train for the Northwest Passage Ragnar Relay! I'd use them for hood to coast!! I plan to get a new pair of shoes when I start running post-baby, so the Brooks would fit the bill! I so need a new pair of Brooks! My Ghost 3s are getting up in mileage! it would be nice to have a new pair to finish off the summer and start the fall racing season! I would use the $100 toward a new pair of training shoes for my first Marathon in Chicago in October! I just became a blog follower of Onlineshoes! I've been running in brooks for years! I would run fast and fierce in my new shoes! I just liked Onlineshoes.com on FB! I just became an Onlineshoes.com follower on Twitter too! 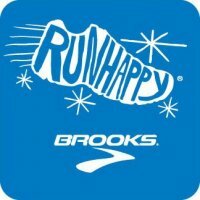 I would use my new Brooks as I train for the Chicago Marathon AND the Goofy Challenge! Would use the Brooks to Run to a PR in my half in August! I love Brooks too! I will use them to drastically improve my time at a certain 10 mile race here in Toronto in August. hm. am trying to follow the OS blog but can't quite figure out how to do so! in the meantime i will check in on the rss feed and blog in general! thanks again for offering the giveaway. I'm currently in Adrenaline 11s and need a new pair to get ready for my two upcoming half marathons this winter! Love those shoes. I would use a new pair to continue my marathon training when my current pair wears out. Love my Brooks!!! I follow OS on twitter. I would use them to train for my first 1/2 on Thanksgiving!!! I like online shoes on facebook! I "like" online shoes on fb! If I were on twitter, I'd "follow" onlineshoes.com!!! I'll use them for when I run around my neighborhood. "How will you use a new pair of Brooks Running shoes?" I would get them as filthy as possible as fast as possible by hitting up the trails. I like onlineshoes.com now on FB! Using my new brooks shoes so I can start rotating between two pair ... especially on the days where I run twice. I'd use them to train for my fall races! My Brooks Ghost 3's have 420+ miles on them, great timing! I like Online Shoes on Facebook... we go way back... all the way back to this morning when I liked them for TMB's give away. And, I follow onlineshoes on twitter. I really want to start working on speed but it's hard to do in my VFFs. I hear so many great things about Brooks. I want to try some so bad! I'll use a new pair of Brooks to run for the fall. My current pair will be DEAD by time I run the marathon in Sept! Yeah, I've never worn Brooks yet. I just bought my first pair of Brooks in March and I love them! I would use a new pair to train for my first half marathon. And now I follow their blog! I'd use my new Brooks to get to my 1000 miles ran in 2011 and for the RNR Vegas Half in December! I am now following the OnlineShoes blog. I'm due for a new pair of Adrenalines myself, which I wear for all my base mileage. Either that or a new pair of Green Silences for track workouts and shorter races. I'm now following them on fb as well. I like onlineshoes on facebook. 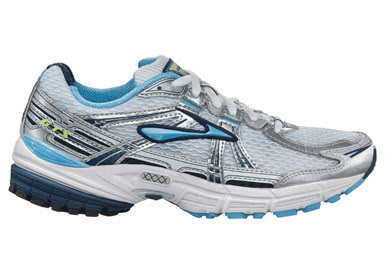 I would use a new pair of Brooks o train for my first ever half marathon in November!! I follow them on FB! i follow the online shoes blog. I really need a new pair of running shoes- just getting into training again and my old ones are beat :)! I would use a pair of Brooks for half marathon training. I would use them to buy my 7th pair of Brooks GTS Adrenalines! I'm about ready for a new pair... and will wear them for the Tacoma Narrows 1/2! I bought a pair 5 years ago for my first marathon and haven't looked back since! My Mizunos are nearing the end of their life, so I would use the $100 towards some new Brooks Ghost 3s! I would wear them for my half marathon in October. I would use some new shoes to train for my first marathon! I follow online shoes blog. 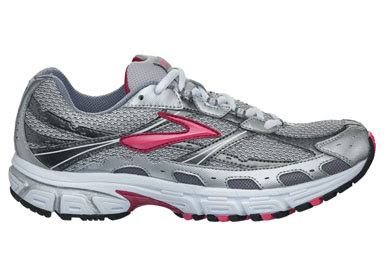 How will you use a new pair of Brooks Running shoes? : I will use them to get back into running! I've been suffering with ITBS and am now on the road to recovery, thankfully! I can start running again, yay! I am following onlineshoes's blog. I am following them on Facebook. I would use them to train for my first race as an adult. I follow online shoes on twitter. I like online shoes on facebook. I'd add another pair to my rotation of fantastic Brooks running shoes!!! Nuthin but Brooks in this house! I'm following you and online shoes blog! Good times!! I would use my new Brooks to continue my marathon training. My current Brooks shoes are starting to get alot of miles on them. I am following on Facebook. Loved getting the coupon! I would actually "let" my hubby get a pair of running shoes. We were in the local shoe store Saturday and he fell in love with the Green Silence shoes he tried on. New Brooks for the IMT 1/2 Marathon? Please and thank you! I would use a new pair of Brooks shoes for the Portland Marathon in October! I will use my new pair of Brooks to get my running grove back! I currently run in Brooks and love them, but I have not had a good spring/summer for training. Maybe I just need a new pair of shoes! I'd use a new pair for my first Half training (and race!) Liking on FB (my Twitter is locked up :(). Following blog! I would use them to break that 2 hr half marathon barrier. already like them on facebook! And already following them on twitter. I would train for my first half marathon in new brooks shoes! I would use them to train for the Houston Marathon! Adrenaline wearer, too! me! Me! pick me! I'd choose Cascadia and use them on the trails (once the trails open back up after the fire danger has passed). Would use a new pair of Brooks to train for my second marathon. I'd love a pair of new Brooks to help me train for my 1st ever half-marathon! I follow Online Shoe's blog! I follow Online Shoes on Twitter! I follow OnlineShoes on FB!! I would use a new pair of Brooks running shoes as inspiration to get back to running again!!! I would place them on a table in my office and look at them every day and even smell them, all to keep me working toward getting my ankle healed so I can actually put them on my feet and go for a run! I sure could use a new pair of Brooks shoes to chase a half PR this fall. I am working it, but Brooks could give me that extra push! I liked Online Shoes on Facebook! ooh, I would use a new pair of cascadia's for the fall trail running season! I'm due for a new pair of running shoes so that I can continue running while studying abroad in Brazil, South Africa and Vietnam in the fall. It's a great way to see a city and stay in shape! I will use a new pair of Brooks Running shoes to continue on my journey to be a healthier person. Running has changed my life and I love showing others about how it can change theirs. Winning a new pair of shoes would be great because my pair is up for replacement in July! I "like" them on facebook! I would use the credit to buy a new pair of Adrenalines! That's the shoe I wear as well and I am in need of new ones for my half-marathon training! love, love, LOVE brooks. currently in green silences, but i need something with more cushion.....1st marathon training starts in a few weeks....so thats how i would use them!!!! and like them on twitter! I would use a new pair of Brooks to maybe, possibly, start training for my first half! I would use the Brooks to train for the Chicago marathon this fall. I love my Brooks Adrenaline. I would use them to train for my fall marathon. I love Brooks! i would use a new pair of Brooks for more running of course!! I am training for a half marathon right now. Trying to set a 14 minute PR. I will use these shoes to get faster! I like Onlineshoes FB page. I follow them on Twitter (rduraz). Awesome giveaway! I'd wear my new shoes to help me come back from my recent injury! I would like to try the Adrenaline's as I continue my 1000 mile challenge and train for my next marathon. 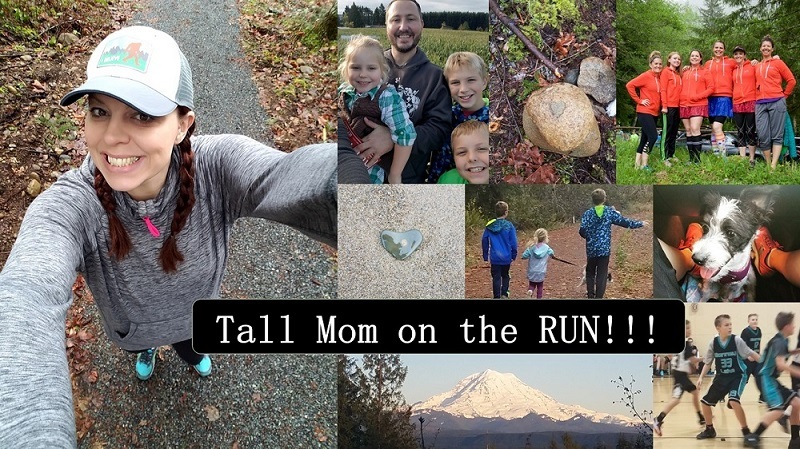 I would use an extra pair of Adrenalines to get started training for my first marathon this fall!